So, the holidays are just a memory. There are more than two months of winter and the bitter weather has not even begun. April 15 is fast approaching. And no, you didn’t win Wednesday’s Powerball Lottery. Back to Reality. Or not. If you take yourself over to the Museum at FIT on 7th Avenue and 27th street, you will be able to immerse yourself in the dreamlike world of fairy tales at least temporarily thanks to their new exhibition. 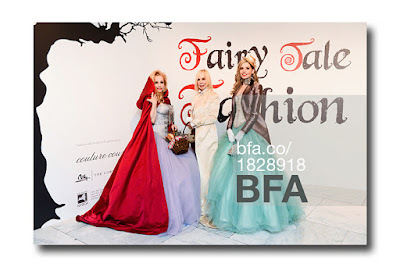 “Fairy Tale Fashion”, a unique exhibition that examines fairy tales through the lens of high fashion, opens today, runs through April 16th, and could not have come at a better time. 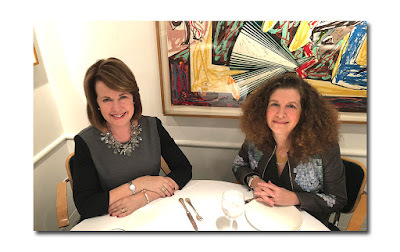 Not only are many of the items on display fabulous (if not swoon worthy), the space itself was dramatically redesigned and transformed for this exhibition and it really maximizes and heightens the effect. 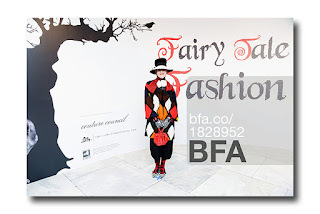 The main gallery illustrates 15 classic fairy tales which are displayed in a “Forest” and the center of the gallery is dominated by a large Castle (all the better to showcase tales like “Cinderella”, “Furrypelts”, “The Snow Queen”, “Beauty and the Beast”, and “Sleeping Beauty”). Organized by associate Curator Colleen Hill, there are over 80 garments and accessories dating from the 18th century to the present (with an emphasis on 21st century designs by such reverential creators as Rick Owens, Thom Browne, Dolce & Gabbana, Tom Ford, Mary Katrantzou, Alexander McQueen, Prada, Rodarte, and Marchesa), along with artwork and interesting ephemera. Notably absent are the unapologetically fairy tale like design of Maria Grazia Chiuri and Pierpaolo Piccioli for Valentino and Alessandro Michele who has been the creative director of Gucci since early last year and whose designs seen to be perpetually fairy tale inspired. On Thursday morning, there was a press preview, and at night there was a party in celebration of its opening. The soirees thrown by The Museum at FIT (hosted by FIT’s President Dr. Joyce Brown, and Dr. Valerie Steele, Director of The Museum at FIT), to fete the openings of their exhibitions, are always fun and highly spirited happenings, particularly when, as is often the case, the subject matter can be easily used as an inspiring sartorial jumping off point for its invited guests. Remember the opening of "The World of Suzanne Bartsch" last September? Well, such was the case last night and it’s hardly surprising given that the very idea of "Fairy Tales" seems particularly well suited to an industry not exactly rooted in reality. 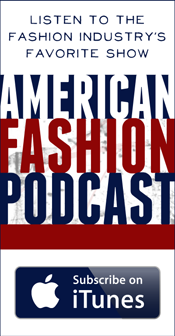 Many fashion designers and fashion followers, not to mention fashion magazines, seem to exist within their own alternative universes. Several of the invited guests (among those who attended were Suzanne Bartsch, Julie Maclowe, Freddie Leiba, Larry Leeds, Tziporah Salamon, Louise Doktor, Dr.Valerie Steele, Dr. Joyce Brown, Patricia Mears, Eleanora Kennedy, fashion designers Jeffrey Banks, Victor de Souza, Bibhu Mohapatra, Pat Kerr, Maggie Norris, Roland Nivelais), really ran with the theme and took it to heart (in some cases, they looked as though they were literally part of the installation). As it turns out, of all the iconic fairy tales on display, the one that was most evoked by guests was “Little Red Riding Hood” (specifically, the iconic red cloak). It’s literally the first thing you see when you enter the galleries, and fabled versions from Chanel, Dolce & Gabbana, and Comme des Garcons are featured prominently. 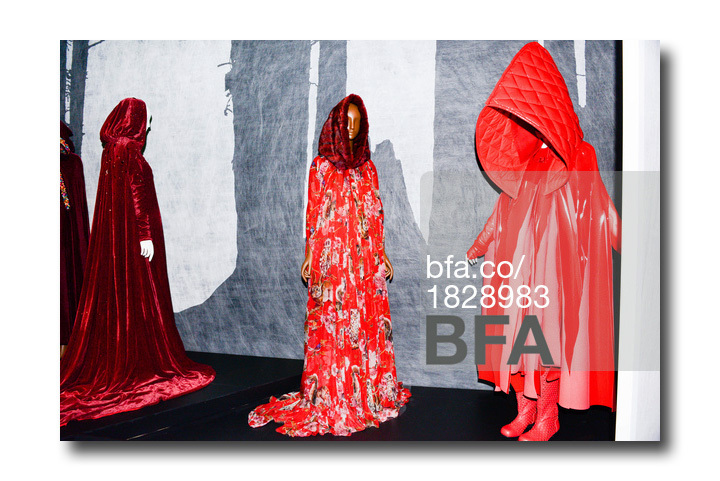 I decided upon my vintage Pauline Trigere red hooded cape; costume designer Rosemary Ponzo custom made her red cloak and gown (it was a dead ringer for something in the show); and Maggie Norris created Joy Marks’ hooded red cape and gown - she even added a forest worthy basket. Ms. Norris also designed Joy’s daughter’s ensemble (“Little Bow Peep”?). It should be noted that fittingly, Joy Marks routinely shows up at New York’s most high profile galas dressed in the designers’ fairy tale like ensembles.